This a very nice indoor used ice cream kiosk design. This kiosk for shopping mall ,airport , school or other public areas. 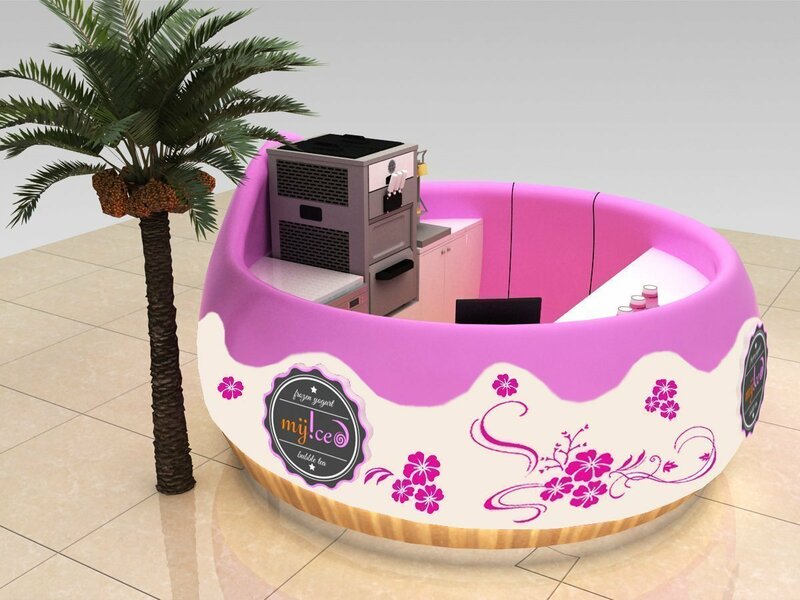 The biggest character element of this ice cream kiosk design is the color and organic shape . A successful ice cream kiosk in mall must have the ability to be the center of eye contact. a unique design will helps a lot. 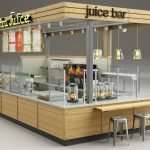 To build this kiosk , choose the right material is very important .Because this kiosk is quite different from a standard rectangular kiosk or square kiosks ,This shop has organic shape and color combination. So FRP will be the best materials. However mdf can also achieve this effect which is cheaper and no need a mould. Here blow are some different views and angles of our ice cream kiosk. 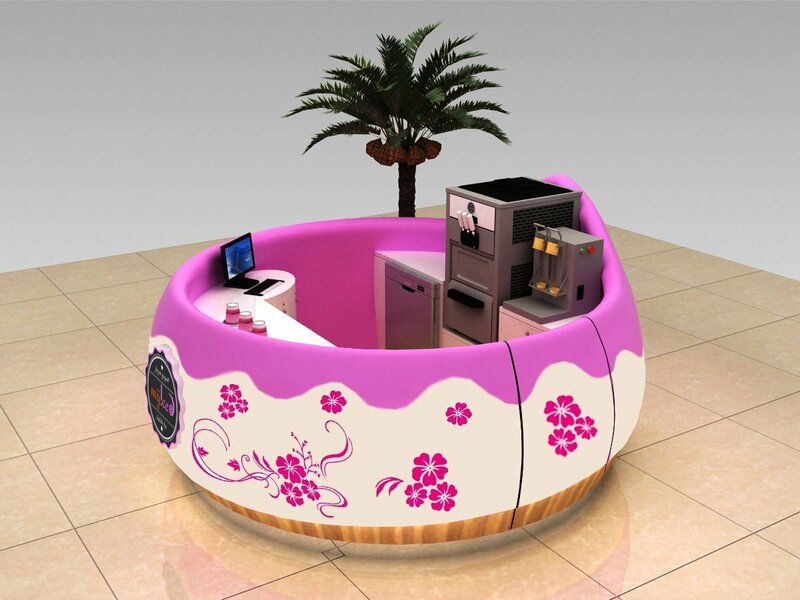 Look at this ice cream kiosk design , The logo display is also an important part to say . a lot of flowers will give the whole kiosk a fresh and clean look while the LED back lit logo will make the brand more outstanding. 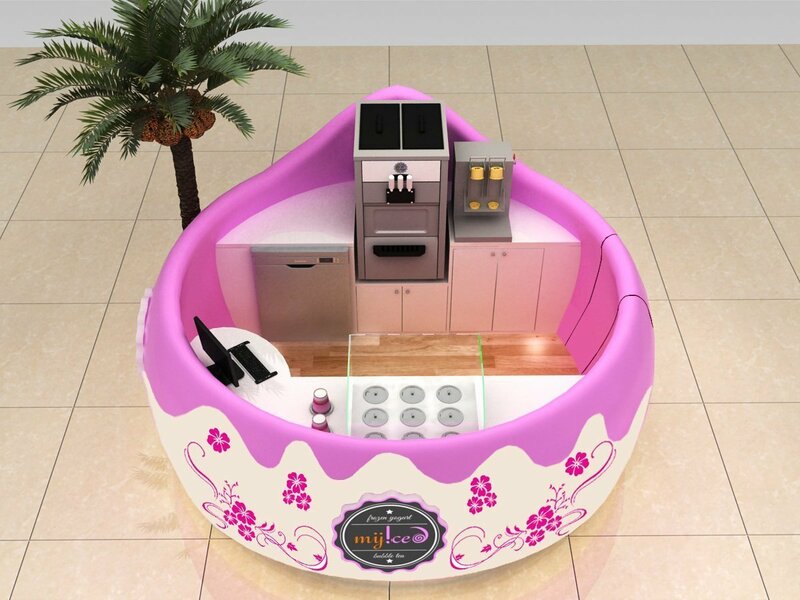 Function area of this ice cream kiosk is cute . 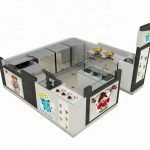 Why is that , Because this design has a curved bottom and top ,so inside the cabinet do not have too much space for equipment, and front counter also have this problems, so even this is a cute and nice design ,if you have a lot of equipment ,this is not so perfect for that. But you may say ,i can make the kiosk diameter more bigger .I would like to say , a little bit bigger is perfect ,if too big the whole design will be a different look. 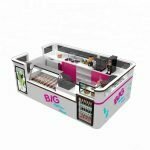 Finally , if you want to build a mall used ice cream kiosk in this style ,you need think carefully the material used on it and the floor plan which will fit your equipment. if can not work properly , better choose a classic ice cream kiosk design . 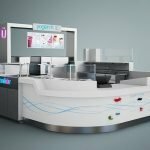 What’s the best mall kiosk business ideas?